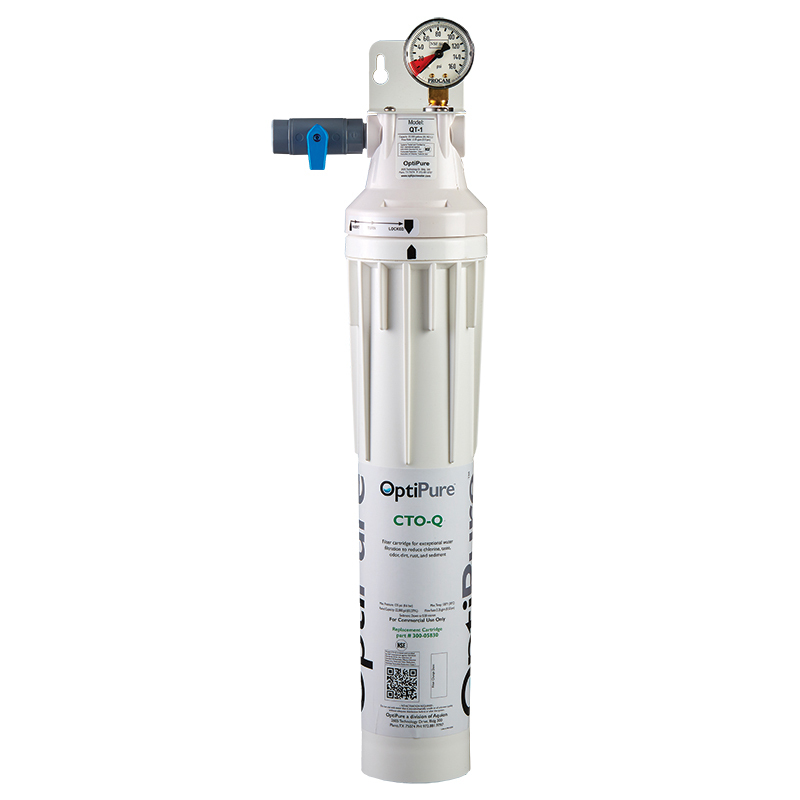 The QT-1 is a single-cartridge water treatment system with a 15” Qwik-Twist cartridge that reduces sediment down to 0.5-microns and reduces chlorine, taste & odor at a flow rate of 2.25 gpm for 22,500-gallons. FOUNTAIN BEVERAGES – single carbonator. COFFEE & TEA – Applications where water hardness is not a problem.